Our organization is engaged in serving our clients with supreme quality Engine Mounting. These engine mounting are available in different technical specifications and are widely used for various engineering and mechanical applications. We offer these engine mounting to our valued customers at competitive market rates. 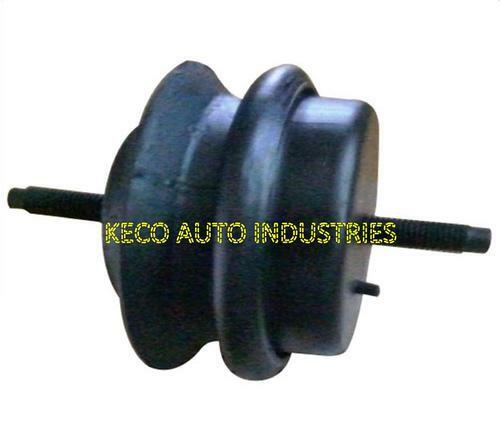 Keco Auto Industries, are widely recognized as one of reliable manufacturers, suppliers and exporters of a precision engineered array Automotive Parts & Components. Our offered array of automotive parts and components comprises Piston & Connecting Rod, Engine Valves, Linear Piston, Push Pull Switch Universal, Cap Moskoviz and Automotive Electrical Parts. In addition to this, we have Isuzu Water Pumps, Automotive Water Pumps, Dickey Cables, Slave Cylinder Kit and Wheel Cylinder Assembly. These automotive parts and components are widely acknowledged for their robust construction, resistance against wear, anti-corrosive nature, longer service life, perfect design and flawlessness finish. In an order to ensure that offered automotive parts and components posses above-named features, we manufacture these by making use of quality approved raw material, which is procured from the well-acknowledged vendors of the industry. Along with this, we keep in mind the globally laid quality norms while manufacturing these automotive parts and components. After the completion of the production process, our experienced quality controller check these automotive parts and components using modern machinery to ensure that these are able to stand tall on the expectations of patrons. Our professionals very understand the role of customer satisfaction played in the growth of business. Keeping the same in mind, these professionals manufacture these automotive parts and components as per the requirements stated by patrons in personal meetings. We also provide After Sales Support, which includes Installation Training, On-site Support, Operational Training and User Manual.